Home → Blog → Is My Thermostat Going Bad? In the winter months, especially in times of extreme cold like we are experiencing now, it is easy to feel like your home is cold all of the time. If you feel like you are extremely cold, however, and your thermostat is set at a reasonable temperature there could be an error in your thermostat reading. Here is what you need to do to determine if your thermostat is going bad. 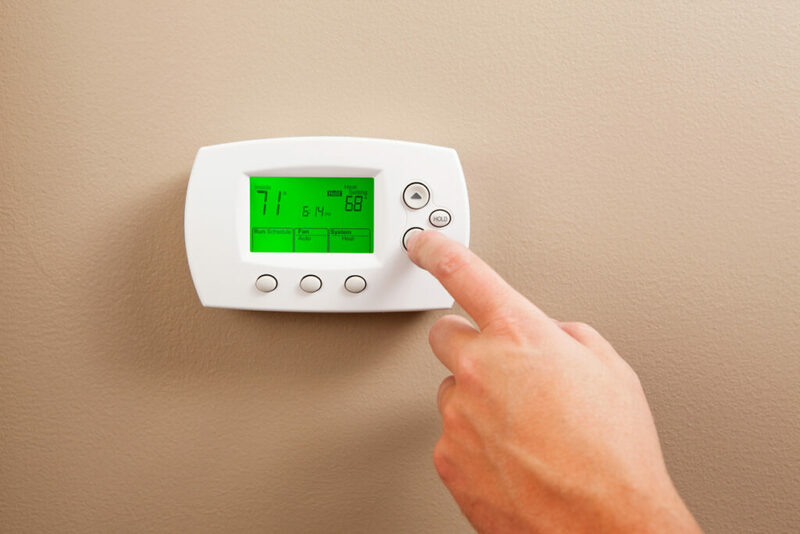 It might seem simple, but many times thermostats give readings that are inaccurate or inaccurately control the furnace because they are located near a source of warm air. So, before you panic check your thermostat’s surroundings to see if there is any warm air blowing directly on the thermostat or if there are any sources of heat (space heater, etc.) too close. Take off the exterior thermostat cover. Yes, before the age of nest and other completely remote thermostats there were (and still are) thermostats with wires. Therefore, the first thing you need to do in order to determine whether or not your thermostat is broken is to take off the exterior cover. In order to do this, you will likely need a small screwdriver. Inspect the wiring and look for breaks or disconnections. Although you might not know everything about thermostats and furnaces it is fairly simple to see if anything obvious is amiss once you remove the cover. Some red flags for broken thermostats are broken/frayed wires, loose connections, and completely broken components. Call your local electrician or furnace repair service. If you see a missed connection that can be easily put back into place, it is okay to go ahead and do it yourself (just be sure to follow all safety protocols like turning off the electricity.) If, however, you do not see anything wrong with your thermostat but continue to experience temperature differences in your home it’s time to call a furnace repair service to do an in-depth inspection. An inspection will help to determine if the problem lies within your thermostat or the furnace itself. For any issues with your thermostat call Arctic Plumbing, Heating, and Air Conditioning. They will assist you in finding a remedy for your heat problems ASAP.